Here’s what’s happening in the world of television for Monday, February 5. All times are Eastern. The Alienist (TNT, 9 p.m.): Last week, the Isaacson brothers (Douglas Smith and Matthew Shear) threatened to steal the show, but in “Silver Smile,” the focus is on John Moore (Luke Evans). Unfortunately for him, it’s his predilections that are under Kreizler’s (Daniel Brühl) microscope. This comes after Moore protests a little too much at having to get inside the head of the killer, which Kreizler points out is their whole objective. 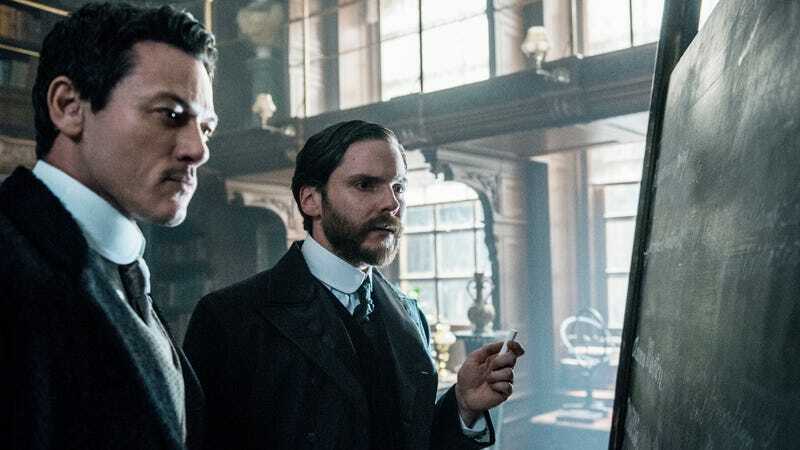 Is the alienist just ruffling feathers, or does he have a new theory? Genevieve Valentine will be there to help you keep things straight. Scorpion (CBS, 10 p.m.): This CBS “fun-cedural” is now in its fourth season, and with episode titles like “Nerd, Wind And Fire,” it’s not hard to see why.